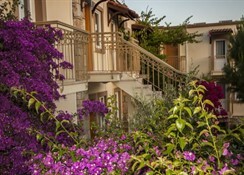 The hotel is centrally located in a quiet part of Bodrum, just about a 10-minute walk to the city's waterfront and the many shops, restaurants and bars. There is also a nice beach about 1.5 km away. Links to the public transport network are only some 200 m away. St Peter's Castle, which is the main landmark of the resort, is about 1 km away and well worth a visit. Milas-Bodrum Airport is around 35 km away. 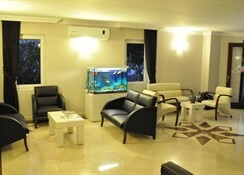 This small air-conditioned apartment hotel offers guests 30 simple but pleasant rooms in a low-rise complex with a garden. 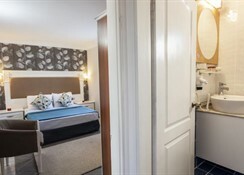 All rooms are en suite and feature a kitchenette, with a mini fridge, suitable for making light meals with a dining area and a separate bedroom. 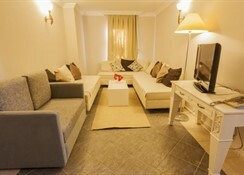 The rooms have individually regulated air conditioning/heating ensuring a comfortable stay. The complex has an outdoor swimming pool with children's section and occasional entertainment programmes are provided.